This past week I stopped by the Equal Justice Initiative’s National Memorial for Peace and Justice on my way to the Florida Panhandle and spent an hour or so at this new memorial that honors the thousands of Americans who lost their lives to racial violence throughout the US in terrorizing public lynchings. The memorial has a museum component located a few blocks away, both are self-guided and rich in both history and historical context. I learned about the new memorial during a 60 Minutes profile a year ago, and it’s been on my list of places to see ever since. Montgomery is one of those special places in America that you don’t always hear about travelers flocking to in droves, but I personally consider it one of the must-have stops in America for anyone who wishes to understand race in America and the enduring spirit of the Black American. It’s hard to name all of the incredible places in this city. Just a few blocks off the last I-85 exit in Montgomery you’ll find the EJI Memorial, sitting on a quiet hill that overlooks the city. Across the street from the memorial is a gift shop where you can purchase memorabilia and tickets. There are also restrooms and a moving display of jars that contain dirt from the site of lynchings located throughout the state of Alabama. There are 294 jars. 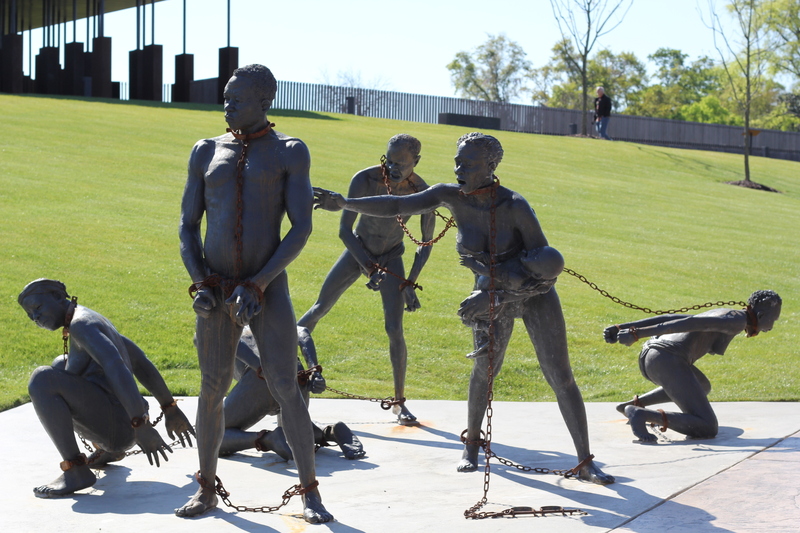 Once you enter the memorial, you are greeted by a harrowing work of art: bronze statues of an enslaved family, which Memorial staff requests that you not take selfies with. 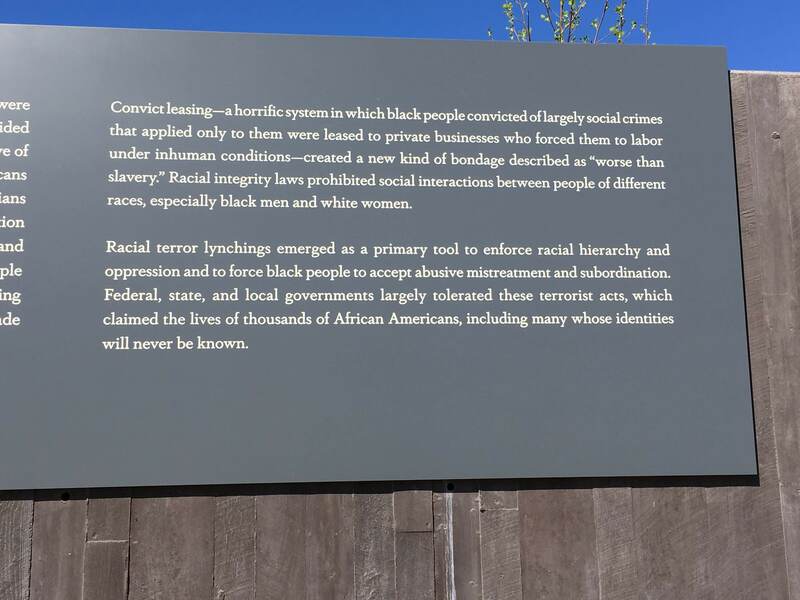 Along the wall opposite the memorial are poignant plagues detailing how the racial landscape in America shifted from slavery to the violent, terroristic climate that gave way to public lynchings, and the damaging psychology of white supremacy that fueled it. 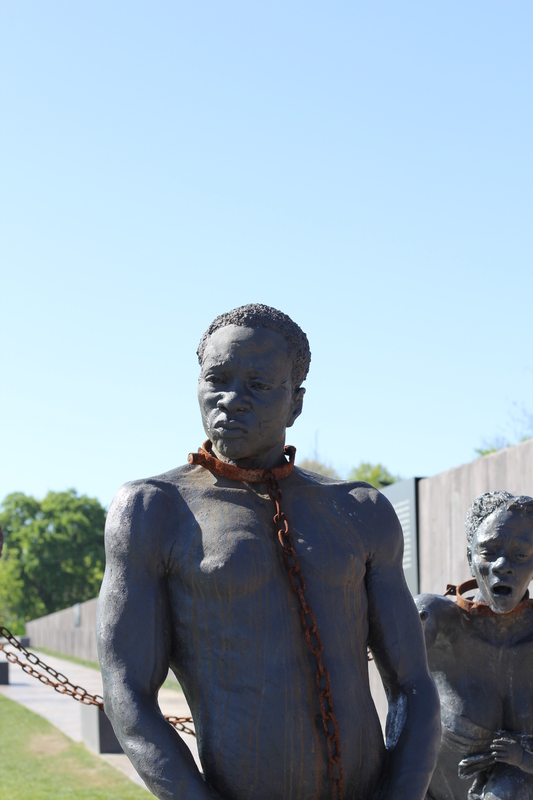 While I haven’t visited every historical place of this kind, I have been on numerous tours of plantations, museums and other historical places dedicated to slavery or racial injustice and I can say without question that the EJI Memorial has achieved an unparalleled balance of truth, compassion, and understanding. 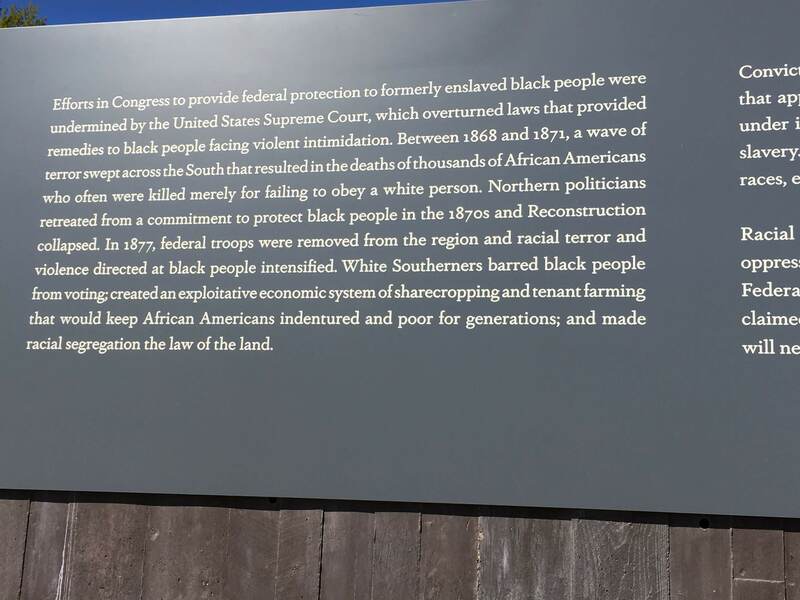 The memorial confronts the true intention and impact of these events in a way that takes you far beyond the traditional “the South used to be really mean to Black people” narrative that is so often fed to us on these kinds of tours. Before I go into the memorial itself, it’s helpful to explain how the EJI got started. Acclaimed public interest attorney Bryan Stevenson founded EJI as a young lawyer working with marginalized communities. His commitment to changing the narrative around race led to a massive research project completed by Stevenson and his staff to document as many lynchings as possible. The current number totals more than 4000, with hundreds more believed to be undocumented. This work required the team to comb through thousands of photographs, newspaper clippings, and more to locate these horrific events that occurred throughout the Deep South, into the West and north of the Mason-Dixon between 1877 and 1950. 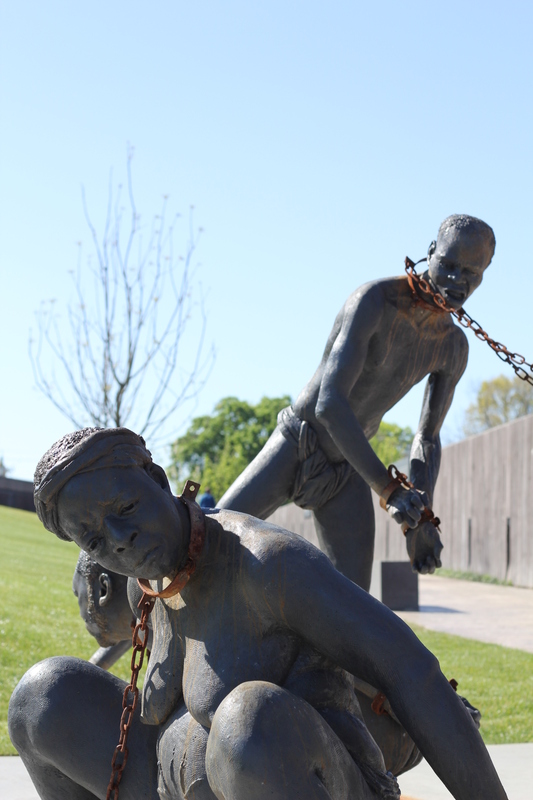 The EJI’s memorial for peace and justice is the first prominent public memorial honoring and remembering all the lives lost during America’s treacherous years of lynching that terrorized an entire race of people. 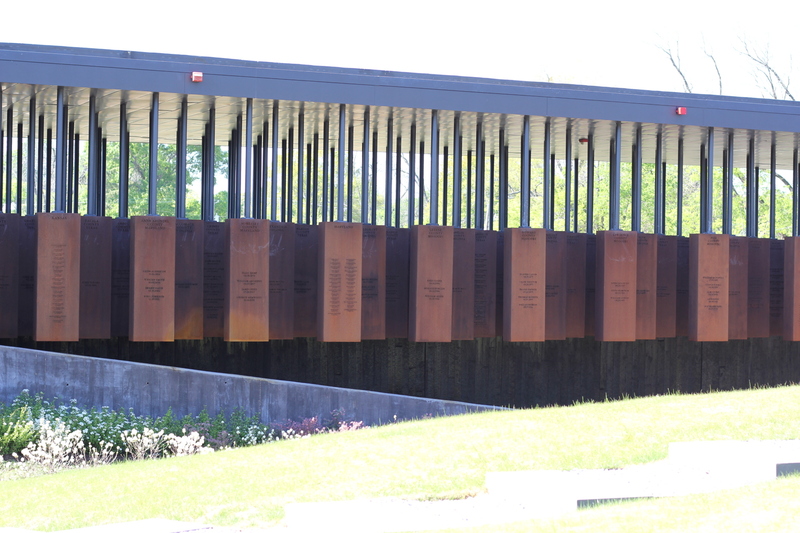 Back to the memorial, the site is quite a memorable visual to see from afar, and as you walk up the path approaching the actual memorial you are confronted with large, somewhat crude rectangular blocks, almost rusted in nature, inscribed with the counties, dates, and names of victims who were lynched. There are almost no words to describe how awe-struck and devastating the pillars are. 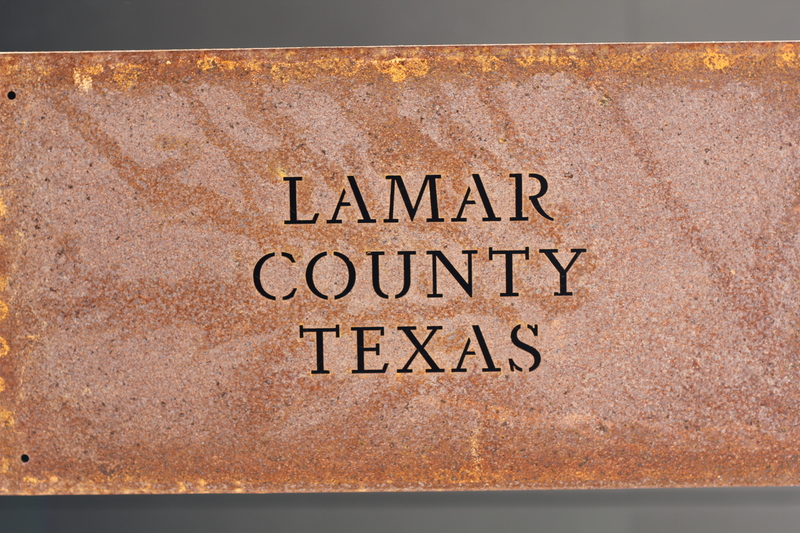 Beneath each pillar is the county name and state. They are held up by steel bars. When you enter the memorial, the pillars rest on the ground, where you can weave in between them at eye level, but as you walk further into the memorial the pillars rise, reminiscent of a hanging. They eventually reach a level where you can only look up, but the inscriptions are too high to decipher. There were woman and men, children and elderly among the names, for reasons that made no sense at all, but seeing the actions that triggered these events seemed so eerily similar to our current social griefs. Upon exiting the memorial is another set of statues, one that pays homage to today’s victims of racial injustice and brutality, and another that honors the Black women of Montgomery who stood at the helm of movements like the bus boycott to ensure the validity of our freedoms. In the face of terror and injustice, there has always been a stronger, undying faith in freedom and a commitment to fight for it that reminds us, after reviewing such heavy history and pondering such heavy truths, that we should not give up, by any means. Fighting for justice has never been a battle fought in vain. 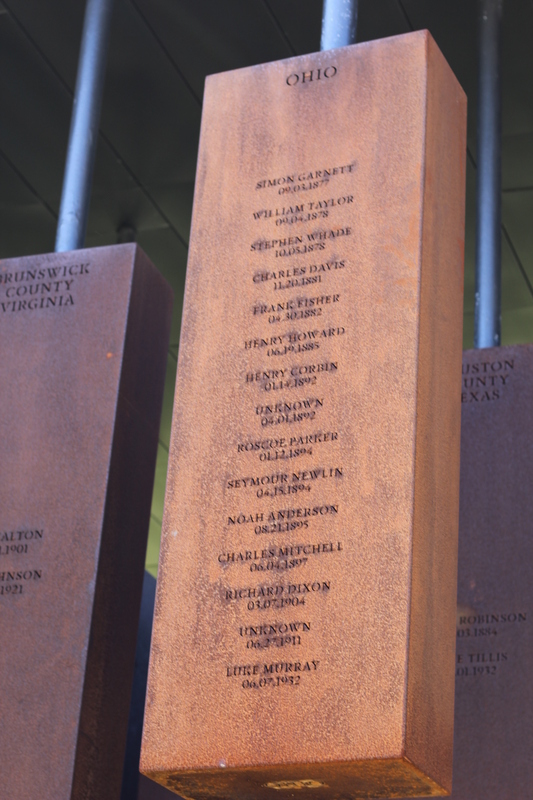 The memorial is not a static one – there are identical pillars lined alphabetically outside the memorial waiting for the counties they represent to claim and install them in their respective areas, as a way to measure what parts of the country have confronted and reconciled with this dark history. It is not easy to discuss or ascertain, but we have to. I found the county I live in now, with more names than I care to admit. There’s a beautiful garden outside the memorial that uplifts your spirits. It’s hard not to smile as you walk past the beautiful array of flowers and peruse the fun gems tucked within the garden. I only had time to see the Memorial (on average visitors spend about an hour, which is pretty accurate), but hopefully, I will have a chance to see the museum too. This place is such a labor of love and I’m truly grateful to all those who have done the tireless and trying work of bringing this history together and giving us knowledge and hope that we can take with us. You can purchase tickets for the EJI Museum and Memorial here.